Zibin Zheng (郑子彬), Michael R. Lyu, in Proc. 32nd ACM/IEEE International Conference on Software Engineering, Cape Town, South Africa, May 2-8, 2010, pp. 35-44. Zibin Zheng (郑子彬), Yilei Zhang, and Michael R. Lyu, in Proc. 8th International Conference on Web Services, Miami, Florida, USA, July 5-10, 2010, pp. 83-90. Yi Liu, Xuanzhe Liu, Yun Ma, Zibin Zheng, Gang Huang and M. Brian Blake, in Proc. 22nd IEEE International Conference on Web Services, New York, USA, June 2015, accepted. Jingwen Zhou, Zhenbang Chen, Ji Wang, Zibin Zheng and Michael Lyu, in Proc. 6th IEEE International Conference on Cloud Computing Technology and Science, Singapore, Dec 2014. Zibin Zheng (郑子彬), Jieming Zhu, and Michael R. Lyu, in Proc. 2nd IEEE International Congress on Big Data (BigData’13), pp. 403-410, SantaClara Marriott, CA, USA, June 27-July 2, 2013. Shangguang Wang, Zhipiao Liu, Zibin Zheng and Fangchun Yang, in Proc. 19th International Conference on Parallel and Distributed Systems, December 15-18, 2013, Seoul, Korea, pp. 102-109. Jieming Zhu, Zibin Zheng (郑子彬), and Michael R. Lyu, in Proc. 6th IEEE International Conference on Cloud Computing (CLOUD’13), pp.589-596, Santa Clara Marriott, CA, USA, June 27-July 2, 2013. Liang Chen, Yilun Wang, Qi Yu, Zibin Zheng, and Jian Wu, in Proc. 11th International Conference on Service Oriented Computing, Berlin, Germany, December 2-5, 2013, pp. 162-176. Weiwei Qiu, Zibin Zheng, Xinyu Wang, and Xiaohu Yang, in Proc. 16th IEEE Symposium on Object/Component/Service-Oriented Real-Time Distributed Computing, Paderborn, Germany, June 19-21, 2013, pp. 1-7. June 24-29, 2012, pp. 319-326. Huifeng Sun, Zibin Zheng, Junliang Chen, Weimin Pan, Chuanchang Liu and Wenming Ma, in Proc. 4th IEEE International Conference on Utility and Cloud Computing, Melbourne, Australia, December 5-8, 2011, pp. 237-244. Zibin Zheng (郑子彬), Jian Wang, Ziyu Zhu, in Proc. 41st IEEE/IFIP International Conference on Dependable Systems and Networks (DSN’11), Hong Kong, June 27-30, 2011. Yilei Zhang, Zibin Zheng (郑子彬), and Michael R. Lyu, in Proc. 22nd IEEE International Symposium on Software Reliability Engineering (ISSRE’11), pp.210-219, Hiroshima, Japan, Nov. 29-Dec. 02, 2011. Huifeng Sun, Junliang Chen, ChuanChang Liu, Zibin Zheng, Nan Yu, and Zhi Yang, in Proc. of IEEE International Conference on Cluster Computing, Poster, Austin, Texas, September 26-30, 2011, pp. 557-560. Yilei Zhang, Zibin Zheng (郑子彬), and Michael R. Lyu, in Proc. 30th IEEE Symposium on Reliable Distributed Systems (SRDS’11), pp. 1-10, Madrid, Spain, Oct.4-7, 2011. Fanghua Ye, Chuan Chen, Zibin Zheng, the 27th ACM International Conference on Information and Knowledge Management. Liang Chen, Yang Liu, Zibin Zheng, Philip S Yu,the 27th ACM International Conference on Information and Knowledge Management. Jinjin Lin, Pengfei Chen, and Zibin Zheng, Philip S Yu,International Conference on Service Oriented Computing. Fenfang Xie, Liang Chen, Yongjian Ye, Yang Liu, Zibin Zheng, Xiaola Lin, International Conference on Service Oriented Computing. Liang Chen, Angyu Zheng, Yinglan Feng, Fenfang Xie, and Zibin Zheng, International Conference on Service Oriented Computing. Fanghua Ye, Chuan Chen, Jie Zhang, Jiajing Wu, and Zibin Zheng, International Conference on Service Oriented Computing. Shaoan Xie, Zibin Zheng, Liang Chen, Chuan Chen, International Conference on Machine Learning. Shenghui Li, Zhiheng Zheng, Wuhui Chen, Zibin Zheng, Junbo Wang, the 2018 IEEE International Conference on Cloud Computing. Fenfang Xie, Liang Chen, Yongjian Ye, Zibin Zheng, Xiaola Lin, the 2018 IEEE International Conference on Web Services. Weili Chen, Zibin Zheng, Jiahui Cui, Edith Ngai, Peilin Zheng, Yuren Zhou, the 2018 Web Conference. Weili Chen, Mingjie Ma, Yongjian Ye, Zibin Zheng, Yuren Zhou, the 2018 IEEE Symposium on Service-Oriented System Engineering. Peilin Zheng, Zibin Zheng, Xiapu Luo, Xiangping Chen, Xuanzhe Liu, the 2018 International Conference on Software Engineering. Fenfang Xie, Liang Chen, Dongding Lin, Chuan Chen, Zibin Zheng, Xiaola Lin, the 2018 International Conference on Software Engineering. Weili Chen, Zibin Zheng, Mingjie Ma, Pinjia He, Peilin Zheng, Yuren Zhou, the 2018 International Conference on Software Engineering. Ronghua Li, Fanghua Ye, Jeffrey Xu Yu, Xiaokui Xiao, Nong Xiao, Zibin Zheng, the 2018 ACM International Conference on Management of Data. Fanghua Ye, Jiahao Liu, Chuan Chen, Guohui Ling, Zibin Zheng, Yuren Zhou, the 2017 International Conference on Service-Oriented Computing. Yaoming Wu, Fenfang Xie, Liang Chen, Chuan Chen, Zibin Zheng, the 2017 International Conference on Service-Oriented Computing. Pinjia He, Jieming Zhu, Zibin Zheng, Michael R. Lyu, 24rd IEEE International Conference on Web Services. Jieming Zhu, Pinjia He, Zibin Zheng, Michael R. Lyu, 24rd IEEE International Conference on Web Services. Zibin Zheng, Shaoan Xie, Hongning Dai, Xiangping Chen, Huaimin Wang, IEEE 6th International Congress on Big Data. Qi Xie, Shenglin Zhao, Zibin Zheng, Jieming Zhu, Michael R. Lyu, 23rd IEEE International Conference on Web Services. Chen Wu, Weiwei Qiu, Xinyu Wang, Zibin Zheng, Xiaohu Yang, 23rd IEEE International Conference on Web Services. Jingke Meng, Zibin Zheng, Guanhong Tao, Xuanzhe Liu, 23rd IEEE International Conference on Web Services. Tingting Liang, Liang Chen, Haochao Ying, Zibin Zheng, and Jian Wu, IEEE International Conference on Data Mining. Jieming Zhu, Pinjia He, Zibin Zheng, and Michael R. Lyu, 22nd IEEE International Conference on Web Services. Chen Wu, Weiwei Qiu, Zibin Zheng, Xinyu Wang and Xiaohu Yang, 22nd IEEE International Conference on Web Services. Yi Liu, Xuanzhe Liu, Yun Ma, Zibin Zheng, Gang Huang and M. Brian Blake, 22nd IEEE International Conference on Web Services. Yun Ma, Xuanzhe Liu, Meihua Yu, Zibin Zheng, Yunxin Liu, Feng Feng, Qiaozhu Mei, Hong Mei, 22nd IEEE International Conference on Web Services. Ao Zhou, Shangguang Wang, Zibin Zheng (郑子彬), Ching-Hsien Hsu, Michael R. Lyu, and Fangchun Yang, IEEE Transactions on Cloud Computing, accepted. Shangguang Wang, Zibin Zheng (郑子彬), Qibo Sun, HuaZou, and Fangchun Yang, IEEE Transactions on Services Computing, accepted. Zibin Zheng (郑子彬) and Michael R. Lyu, IEEE Transactions on Computer, vol. 64, no. 1, 2015, pp. 219-232. Xi Chen, Zibin Zheng (郑子彬) (通讯作者), Qi Yu, and Michael R. Lyu, IEEE Transactions on Parallel and Distributed Systems, vol. 25, no. 7, 2014, pp. 1913-1924. Yilei Zhang, Zibin Zheng (郑子彬) (通讯作者), and Michael R. Lyu, IEEE Transactions on System, Man, and Cybernetics, Part A, vol. 44, no. 9, 2014, pp. 1169-1181. WeiweiQiu, Zibin Zheng (郑子彬), Xinyu Wang, Xiaohu Yang, and Michael R. Lyu, IEEE Transactions on Services Computing, vol. 7, no. 2, 2014, pp. 223-236. Zibin Zheng (郑子彬), Yilei Zhang, and Michael R. Lyu, IEEE Transactions on Services Computing, vol.7, no.1, 2014, pp.32-39. Zibin Zheng (郑子彬), Xinmiao Wu, Yilei Zhang, Michael R. Lyu, and Jianmin Wang, IEEE Transactions on Parallel and Distributed Systems, vol. 24, no. 6, June 2013, pp. 1213-1222. Huifeng Sun, Zibin Zheng (郑子彬), Junliang Chen, and Michael R. Lyu, IEEE Transactions on Services Computing, vol. 6, no. 4, 2013, pp. 573-579. Jian Wu, Liang Chen, YipengFeng, Zibin Zheng (郑子彬), Mengchu Zhou, and Zhaohui Wu, IEEE Transactions on System, Man, and Cybernetics, Part A, vol. 43, no. 2, 2013, pp. 428-439. Zibin Zheng (郑子彬), Hao Ma, Michael R. Lyu, and Irwin King, IEEE Transactions on Services Computing, vol. 6, no. 3, July-Sept. 2013, pp. 289-299. Zibin Zheng (郑子彬) and Michael R. Lyu, ACM Transactions on Software Engineering and Methodology, vol. 22, no. 2, 2013, pp. 1-28. Xi Chen, Zibin Zheng (郑子彬), Xudong Liu, Zicheng Huang, Hailong Sun, IEEE Transactions on Services Computing, vol. 6, no. 1, 2013, pp. 35-47. Zibin Zheng (郑子彬), Tom Chao Zhou, Michael R. Lyu, and Irwin King, IEEE Transactions on Services Computing, vol. 5, no. 4, 2012, pp. 540-550. Zibin Zheng (郑子彬), Hao Ma, Michael R. Lyu, and Irwin King, IEEE Transactions on Services Computing, vol.4, no.2, 2011, pp. 140-152. FangHua Ye, JiaHao Liu, Chuan Chen, GuoHui Ling, ZiBin Zheng, YuRen Zhou, IEEE Access. 陈伟利, 郑子彬, 计算机研究与发展, 2018, Journal of Computer Research and Development. Zibin Zheng, Yatao Yang, Xiangdong Niu, Hongning Dai, Yuren Zhou, IEEE Transactions on Industrial Informatics. 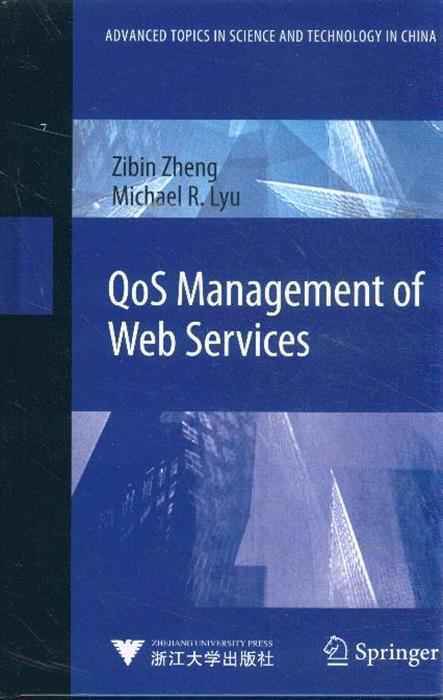 Yi Xiang, Yuren Zhou, Zibin Zheng, Miqing Li, ACM Transactions on Software Engineering and Methodology. Guanhong Tao, Zibin Zheng, Ziying Guo, Michael R. Lyu, IEEE Transactions on Reliability. Zibin Zheng, Shaoan Xie, Hongning Dai, Huaimin Wang, International Journal of Web and Grid Services. Zibin Zheng, Fanghua Ye, Ronghua Li, Guihui Ling, Tan Jin, Information Sciences. Jieming Zhu, Pinjia He, Zibin Zheng, Michael R. Lyu, IEEE Transactions on Parallel and Distributed Systems. Yuan Huang, Xiangping Chen, Zhiyong Liu, Xiaonan Luo, Zibin Zheng, Journal of Software: Evolution and Process. Mingdong Tang, Zibin Zheng, Guosheng Kang, Jianxun Liu, Yatao Yang, Tingting Zhang, IEEE Transactions on Network and Service Management. Xinyu Wang, Jianke Zhu, Zibin Zheng, Wenjie Song, Yuanhong Shen, and Michael R. Lyu, ACM Transactions on the Web. Jianlong Xu, Zibin Zheng, Michael R. Lyu, IEEE Transactions on Reliability. Jingwen Zhou, Zhenbang Chen, Ji Wang, Zibin Zheng, and Michael R. Lyu, IEEE Transactions on Services Computing. Zibing Zheng, Michael R. Lyu, and Huaimin Wang, SCIENCE CHINA Information Sciences. Zibin Zheng, and Michael R. Lyu, IEEE Transactions on Computers.